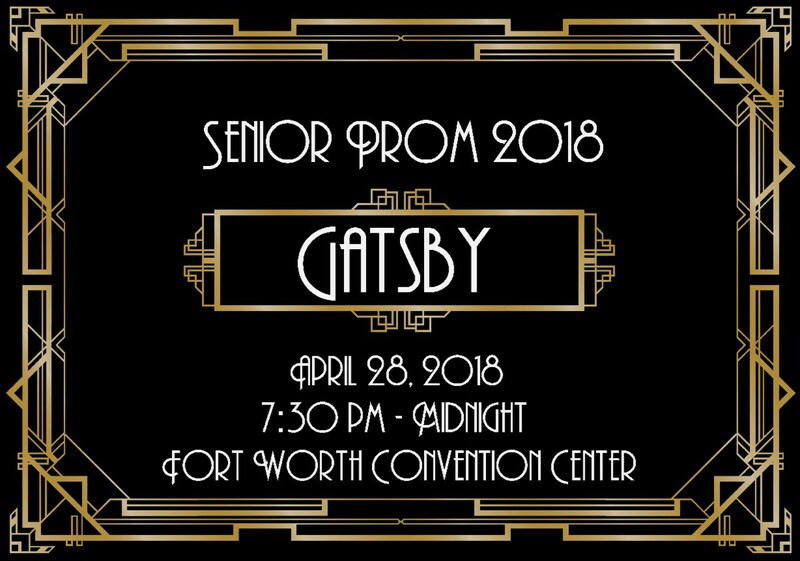 The 2018 Senior Prom will be held on April 28, 2018 from 7:30PM-12:00AM at the Fort Worth Convention Center Ballroom. Tickets are available for purchase now until April 27th. The cost is $75 a ticket until April 6th, and will increase to $100 a ticket April 7th. You may purchase tickets online at weatherfordisd.revtrak.net​ using a credit or debit card. If you purchase the tickets online, please print a copy of the receipt and bring it with the Student Information Sheet to the front office. You may also purchase tickets here at the High School in the front office using cash or checks. The Red Carpet will be held in the Plaza on the south side of the Convention Center by the Water Gardens. Parents are encouraged to come watch as the students walk the red carpet into prom. There will be photographs taken of everyone as they enter prom that will then be available for download at no additional cost. Students will need to either park or be dropped off on the Commerce Street side of the Convention Center near 12th and 14th streets. Parking on the streets is free on the weekends or there is a parking garage on the corner of Commerce Street and 14th Street that is $18 a car. 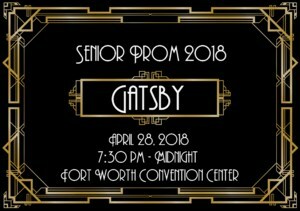 The "Gatsby" Pre-Prom Tour for families and community members will be on April 28th from 6:30PM-7:00PM. Entrance to see the prom will be $5.00 per person. Business Casual attire is suggested. You will need to park on the Commerce Street side of the Convention Center near 12th and 14th streets and enter the Convention Center on the south side of the building near the Water Gardens. If you have any questions, please email Heather Gonzalez at hgonzalez@weatherfordisd.com.